Demo for LEGO Star Wars III: The Clone Wars just landed on XBox Live and since we are talking about LEGO Star Wars, take a look at this nifty ad campaign created by students of the Cuca Escola de Criativos. 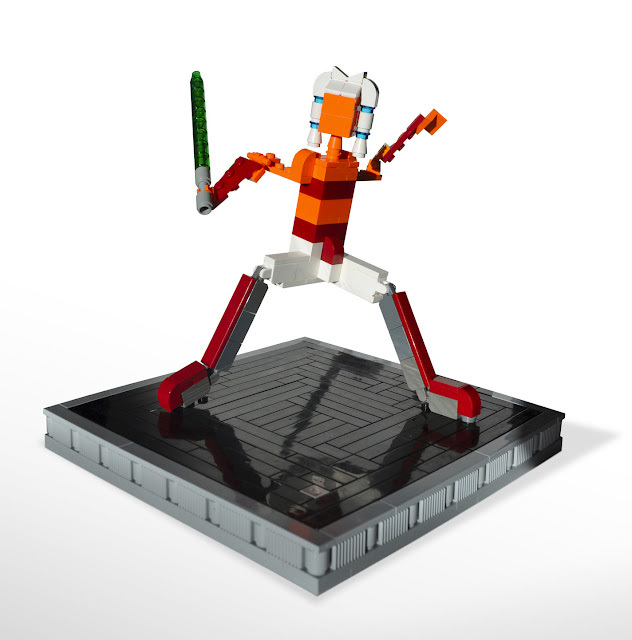 Finally, Lucasfilm Animation is having its 3rd annual benefit art auction this week with some pretty cool items put on the auction block like the LEGO Ahsoka at the top of this post. 10 years ago today, All your base are belong to us was posted at Newsground starting what would become one of the first classic Internet meme. Why can’t I find a weighted companion cube? 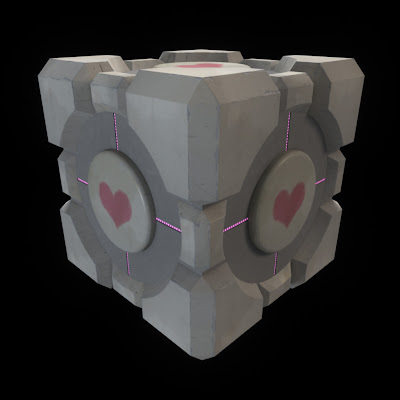 So I’ve been playing Portal… Like a lot and all I want on my desk next to my monitor is a weighted companion cube. Is that too much to ask? Well apparently it is, because the only licensed product from valve is a crappy plush or there’s also a pretty neat papercraft version but that’s not what I want. I want the real deal. Yes, I’ve searched Ebay. No dice (dice, cube.. get it?). So if you’re a Dremel God and you are reading this, will you make one for me? I’m willing to pay. My first question was what is it doing in this store? Do they think that some random tourist is going to walk in and say “Hey, nothing says New York City like a box of Nintendo Power Mints!” and second why would Nintendo even license such a product?Anyway, I love them but it seems so improbable and made for such a tiny niche market, you can’t help but wondering. The NES pad is just a regular mint not even that strong and the blue Shroom contains blue raspberry sours but not that sour either. 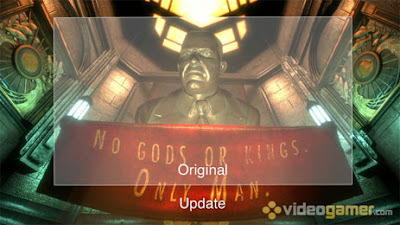 How many times do I have to finish Bioshock? I already completed the game 4 times to get 49 achievements out of 50. Now 2K released a patch on XBox live fixing the widescreen issues. I didn’t think it was much of a problem but looking at the screen grabs i’s worth playing a couple of levels. Hitman: Blood Money will forever be the first 360 game on which I got all the achievements. 1000 gamers points. And now on to Lego Star Wars II. Episode 4 in Widescreen. They will now come at the pace of one each month for the next 10 months… Awesome! Coming September 7 and we have a trailer. I can’t wait! I told you they’d do it! This morning in my inbox:Welcome to the Call of Duty 4: Modern Warfare Multiplayer BETA! Congratulations on being selected to participate in the public multiplayer BETA for Call of Duty 4: Modern Warfare. Turn on your Xbox 360 entertainment console. Go to the MARKETPLACE Blade. Select Redeem Code from the available menu. Enter the Token found above in the available field. Upon completion of the download, you may choose to ‘Play Now’ to immediately start enjoying the Call of Duty 4: Modern Warfare Multiplayer BETA, or for all future attempts, you can choose the Call of Duty 4: Modern Warfare BETA in the ‘Demos and More’ menu of your ‘GAMES’ blade on the Xbox 360 Dashboard. Multiplayer BETA Forums at www.charlieoscardelta.com. Note: The beta is 1GB in size so make sure you have the space for it! Remember the Call of Duty 4: Modern Warfare Multiplayer BETA has a Rank Cap. So you won’t be able to rank up past the rank cap noted in the Message of the Day box in the lobby. We’ll gradually be raising the Rank Cap throughout the duration of the beta to allow us to stagger our testing process. “Your name will now be entered into a random drawing for Tokens into the Xbox 360 Multiplayer Beta. At 7pm PDT tomorrow, Tuesday August 28th, we will be drawing names for entry into the Beta. Within 72 hours of this Drawing, we will contact you via email with news on whether or not you were admitted. Even if your name is not chosen in the random drawing, there will be more ways to get into the Beta, and we will continue to update you on the details as soon as they’re finalized! If you are selected in the Drawing, please be patient and wait until you receive your token. We will be sending out Token Codes in batches to ensure the Xbox Live servers are ramped up at a safe pace. If you use an email client such as Yahoo, G-mail, or Hotmail, please be sure to check your junk mail folder for news on whether or not you’ve been selected. Also, please add Cod4beta@infinityward.comto your address book. This will ensure that you don’t miss out on any of the action. I could swear it said the beta was on a first come first serve basis yesterday, anyway I’m keeping my fingers crossed.